Book covers are usually designed to reflect what the book is all about — which isn’t exactly in line with the famous saying about judging a book by its cover. Now, a pair of researchers from Kyushu University in Japan wanted to find out just how well artificial intelligence (AI) can engage in the proverbial book judging. It turns out, neural networks perform fairly well. 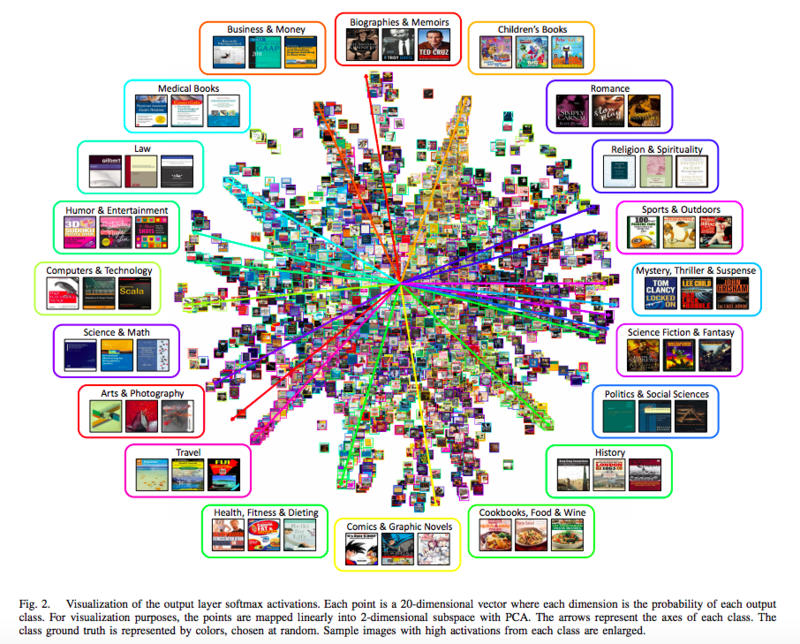 The task was simple: can a deep neural network, which has four layers of up to 512 neurons each, correctly identify what genre a book belongs to just by analyzing its cover? Brian Kenji Iwana and Seiichi Uchida downloaded 137,788 unique book covers from 20 genres on Amazon.com. They trained their neural network using 80 percent of this data to recognize a book’s genre by looking at the cover image. To validate their model, they used 10 percent more from their dataset. The remaining 10 percent was used to actually test the neural network. According to their paper , the AI algorithm listed three possible genres for each book. The results showed “the experiment had an accuracy of 21.9% for Top 1, 32.1% for Top 2, and 40.2% for Top 3 in 20-class classification.” That’s a rate of accuracy significantly better than mere chance. The system, of course, wasn’t perfect. Limitations due to image recognition and the ambiguity of book covers themselves made it difficult for some to be categorized. There was difficulty with biographies and memoirs, medical and science books, and children’s books being confused with comics or graphic novels. Furthermore, the researchers didn’t compare how well their neural network performs vis-a-vis an actual person’s ability to judge a book by its cover. But just like any neural network , the more data it gets, the better its judgments become . The researchers believe their AI can be trained to even design book covers without human input. Illustrators better watch out.